If your clinic website is outdated, unresponsive, or just looks like it’s homemade, it’ll be difficult convincing visitors that you’re as good as you say you are. The first impression of your clinic happens online – yes, 72% of internet users say they looked online for health information in the past year (Pew Research 2012). 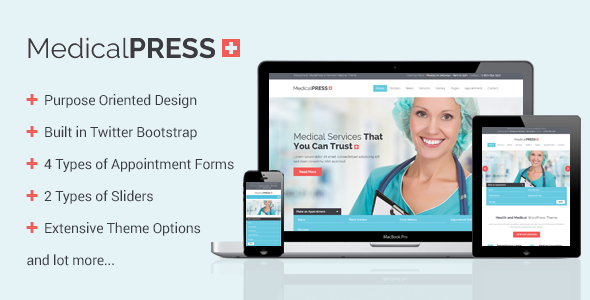 But before you go spending thousands of dollars on a new clinic website, consider purchasing a modern medical website design template for WordPress and installing it yourself. WordPress is a content management system, or platform that millions of websites run on. Large corporations, universities, clinics, small businesses, and blogs run on WordPress. This article isn’t necessarily about how to build a medical website. We wrote an entire eBook on that (it’s free to download). Let’s assume that you already have a domain, host provider, and WordPress installed. In that case you’re ready to upload a great looking theme that is responsive (i.e. mobile ready), well designed, fully supported, and easy to manage. By far one of the most highly reviewed theme available is Apicona. Priced just at $43, this theme has premium features and easy setup and management tools that will make updating pages really simple. 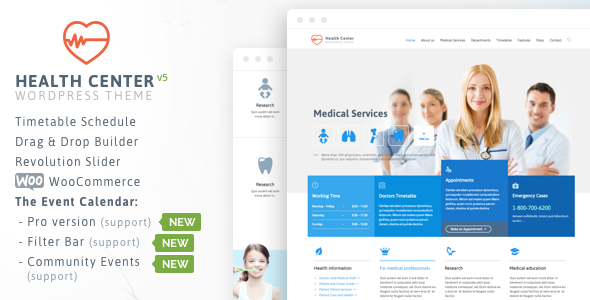 I have personally used MediCenter for a few clients and they absolutely love the design options. There are a ton of color features, page components, and even a calendar / scheduling feature built into the theme. Definitely one to check out if you want a modern clinic website. What I like about the Care+ medical theme is that it is ‘drag and drop’ ready and has Woo Commerce integration, which is great for adding a ‘checkout’ feature on your site. The built in schedule manager is clean looking and so is the entire site layout. 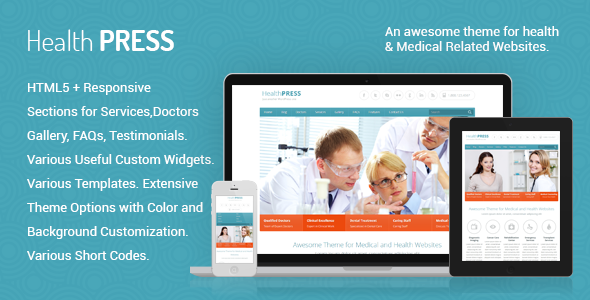 HealthPress has been around for a few years and is still a great looking web template. I particularly like the ‘meet the doctors’ feature that can be added to the home page and think they did a great job building a contact page that drive clients to schedule an appointment. Ok the name sounds a little strange, but the Soul Medic theme is sweet. The homepage is impressive, especially the dropdown menu – which is one of the best designed I’ve seen. The blog page is nice and wide and I like the look of the featured employee page. I don’t always save the best for last, but the Health Medical Center theme is pretty impressive. If you’re running a smaller operation, I’d go with one of the other themes mentioned above. 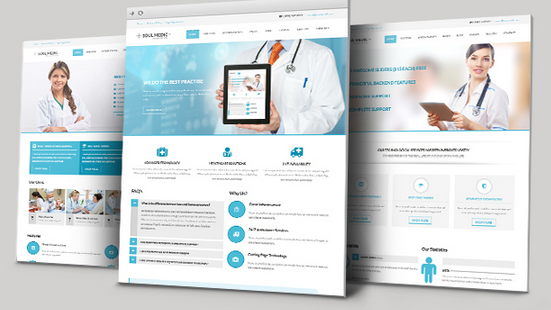 If you’re designing a hospital website or a large clinic site, this is the design for you. 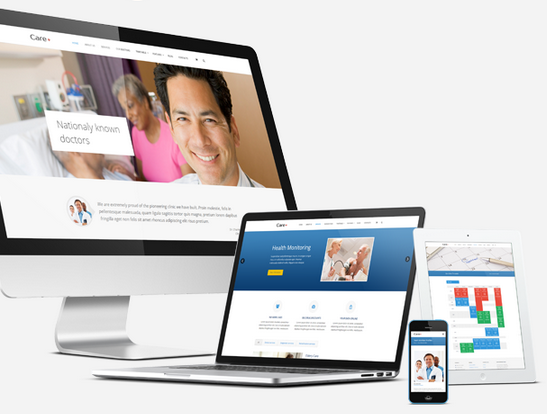 PT Clinic websites, Hospital websites, Chiropractic website, and even Dental websites are very similar in terms of preferred layout or page design. 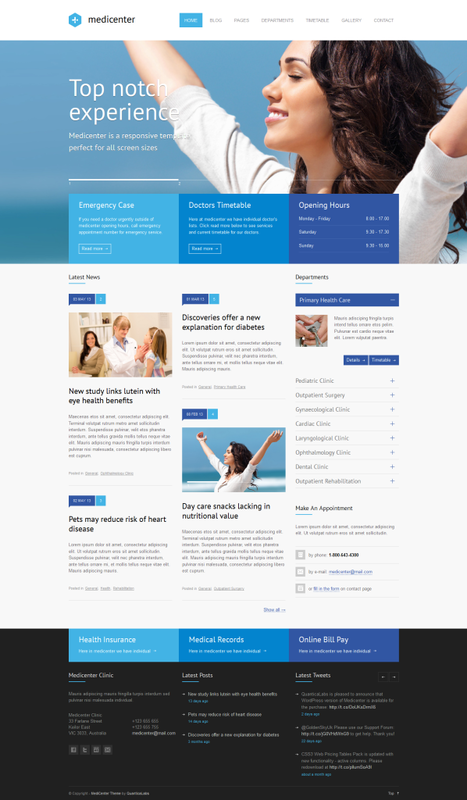 I’d recommend any of these medical website templates as great options for a new site. 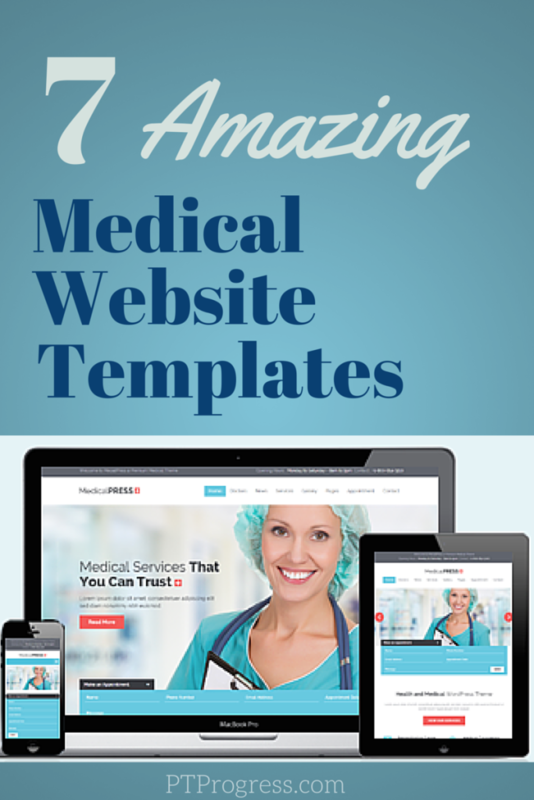 If this is all new to you, be sure to check out the free guide to building a clinic website. We break down all the steps you need to get your new website up and running. Also check out the resource page for our favorite tools for web design.